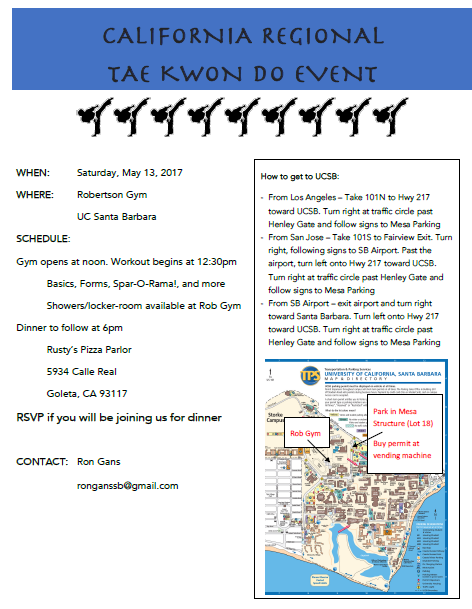 Come join us May 13, 2017 in Robertson Gym on the UCSB campus. We are hosting a gathering of Tae Kwon Do practitioners from around the region. All are welcome to view and Chung Do Kwan practitioners are invited to participate. Basics, forms, spar-o-rama, board breaking, and more.